Since 1983, we have been the educational foundation for generations of children in the Grand Forks community. 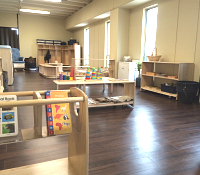 Our Infant/Toddler program features all new furniture and educational materials in a clean, newly designed space so that our youngest friends can grow in a safe, nurturing, learning environment. 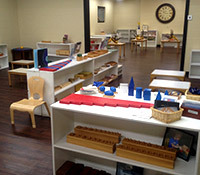 The Montessori primary curriculum is a three-year cycle laying the foundation upon which later learning will be built. It is designed to meet the developmental needs of children ages three to six, who are particularly sensitive to absorbing new information. 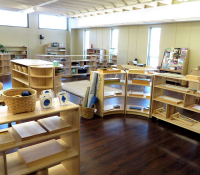 The Montessori Lower & Upper Elementary curriculums continue to develop upon the foundation set forth in the Primary class and is designed to meet the next stage of development in children. This is the age of wanting to understand ‘how’ and ‘why’.